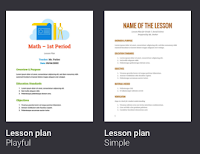 This is a great template to use for creating your lesson plans. It is pretty basic and features the basic elements making up a lesson plan. There are two versions of this template one is called Playful and the other Simple. 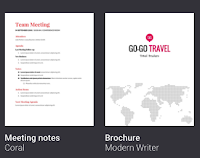 This one allows you to create beautiful brochures without any technical hassle. 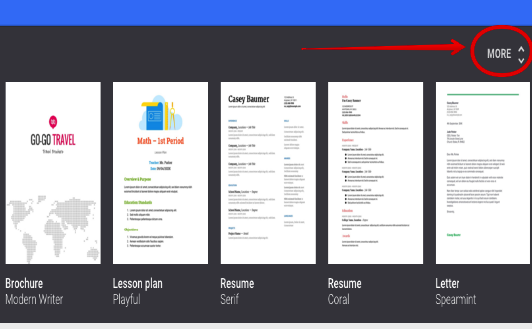 You can use text, visuals, maps, shapes…etc to create a short 4 pages brochure to share with students. 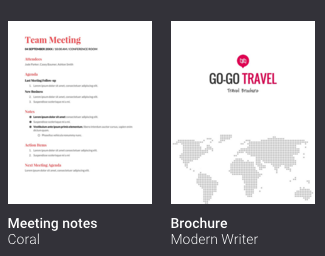 You can choose between two types of brochures: Modern Writer and Geometric. 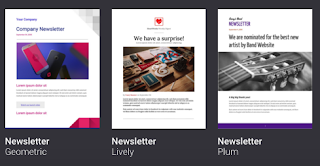 Always under the Work section in Docs gallery, you will find three types of newsletter templates each one is slightly different from the other. There is the Geometric newsletter, the Lively newsletter and the Plum newsletter. They are all beautifully designed and can be appropriated for different purposes. There is a whole section in the new Docs gallery for resumes. 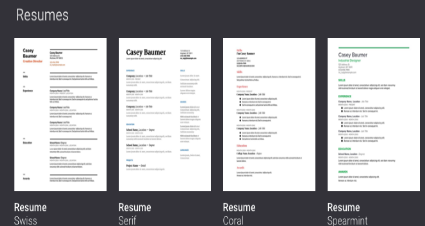 There are actually four resume templates: Swiss, Serif, Coral and Spearmint. Students can use them to create professional looking resumes in a matter of a few minutes.